How are you all doing on this Sunday! 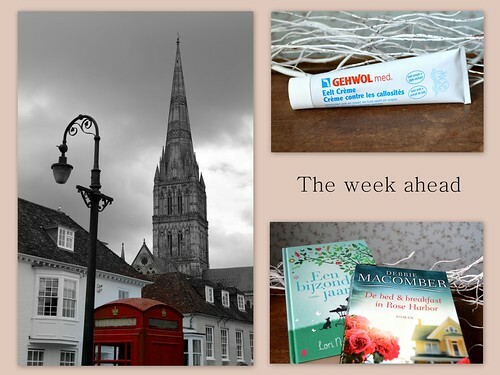 At the moment you are reading this, I am probably strolling around lovely Groningen… but don’t let that hold me back of treating you on a sneak peek at this week’s blogposts! On Monday I give you thoughts on an electric callus remover and a foot cream. On Tuesday I give you two more book reviews (perfect summer reads!!) and on Thursday I’ve got a travelpost planned on Salisbury. And that rounds it up for this ‘week ahead’. Enjoy the rest of your Sunday and see you soon!